Tom Jung Photography: Where Are You Going? Where are you going my baby, my own? My niece is getting married. 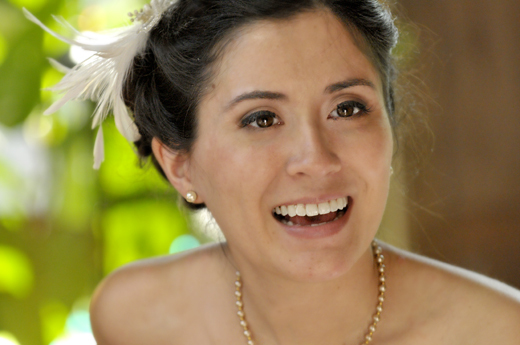 The little "Squirmy Worm" is marrying the love of her life, and a great sea change ebbs before me. I wish that her Grandparents had lived to see this moment. But I am consoled that Suzi wears the wedding ring my Mother wore every day until my Father passed away. Now, the ring lives again, sparkling with the promise of a love as strong and enduring as my Parent's. My primary role was that of my sister's brother, Uncle Tom as I prefer not to be called (just Tom will do). 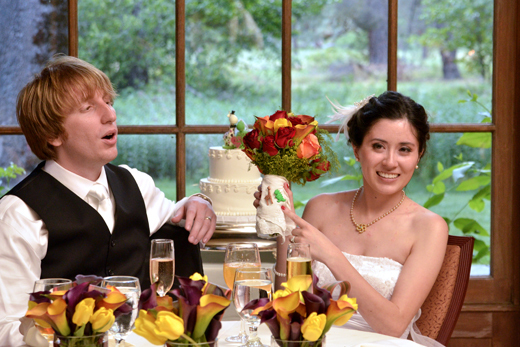 It was to be a small wedding, with fewer than 30 guests in attendance. I brought my camera, hoping that I might be able to make some images that would have made my parents proud. Keep your ISO as high as practical. Now there are some things that this technique can't do. One big problem is wrestling with intrusive sunlight. There just isn't enough power to equal the direct rays of the sun. Sometimes you can work around it, and other times you can't. However, if you must work with high ambient light sources, see if you can find a way to reduce the apparent brightness. Sometimes you can work the shots from a different vantage point, or in this case, do your planned shots later in the day, or on the shady side of the building. 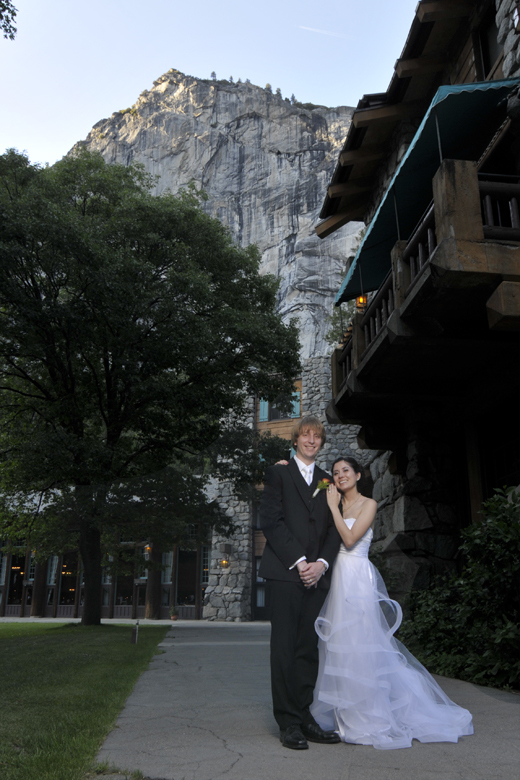 The sun had set behind the mountains, and the ambient light outside became much easier to work with. 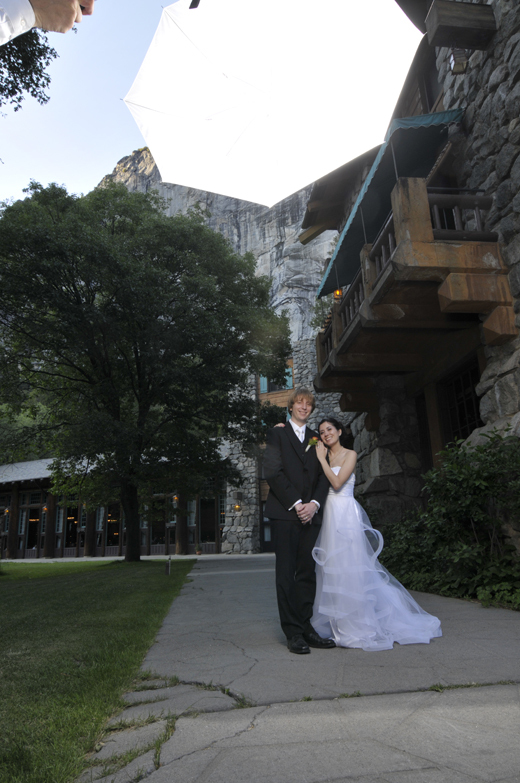 The wedding itself was held at the Ahwahnee Chapel in Yosemite, and the reception at the Ahwahnee Lodge. Being in Yosemite is truly a transcendental experience. The word "grandeur" is hopelessly inadequate for describing the mountains that surround the floor of the valley, and this was what I wanted to capture in a photograph. 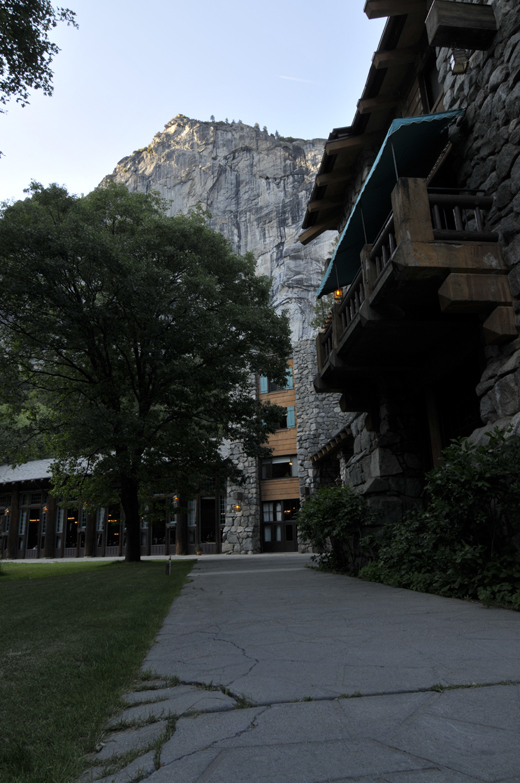 I was determined to include as much as possible, so the side of the Lodge and the surrounding mountains would be included in a vertically oriented photograph. To accomplish this, I needed two important items: A steady tripod and a suitable off-camera light source. Out came the Zumbrella with two SB-800s mounted in a home-made double bracket. I would trigger the flashes using an SB-900 as a commander, although I should have used some sort of radio trigger, since I was getting several "failures to fire" until I properly oriented the flash head. One more important thing: you have to shoot fast to keep the light consistent from the beginning of the session to the end. After I made several shots, I cleared the set, and made one final image so I could have a clean background to work with. Exposure was unchanged, that is to say it was determined before the shooting started, and locked in on Manual Mode. Finally, I made a sandwich using the image of the couple on top, and the clean background below. Then I used the Eraser to eliminate the Zumbrella and the hand, leaving the uncluttered background to show through. Some small adjustments to clean up the effects of the lens flare, and the following image was the result. Without Photoshop, I would have needed a very tall light stand and an enormous umbrella to achieve a similar quality of light. But I was able to use a smaller, easier to handle umbrella and position it close the subjects, allowing me to use two small speed lights to get the soft lighting I wanted for the photo. The final image will require some careful touch-ups, but this quick mock-up will give you an idea of how this can be accomplished. Also, the high-up position of the light helped to keep the gown from being over-exposed, so the details and the texture are easily seen. I am content that I was able to make the photograph I imagined. I only hope that in the years to come, it will remind us all of the magic in their hearts on this most special of days. Little pigtails and petticoats, Where have you gone? Turn around and you're a woman with babes of your own.